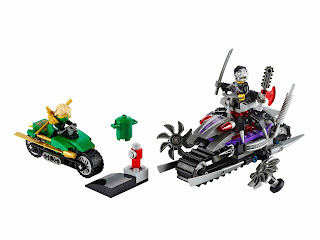 come with an all terrain tank bike and a green ninja cycle. 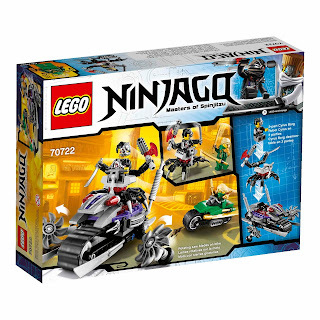 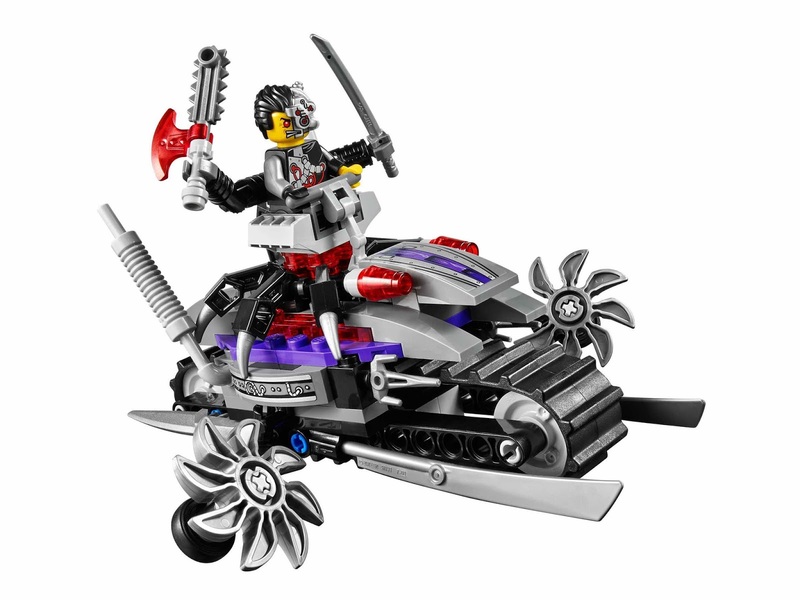 the bike has a mech chair, mech arms, a saw blade, a sword, 2 front slicing circular saw blades, a black tread, 2 lasers, daggers and twin exhausts. 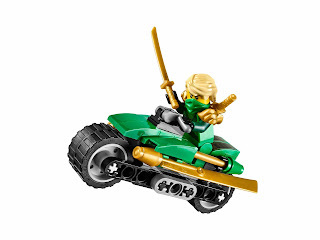 weapons included 2 golden swords. 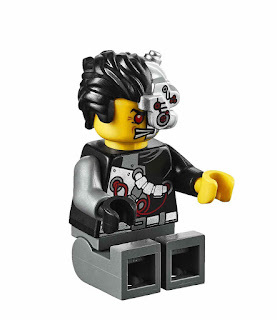 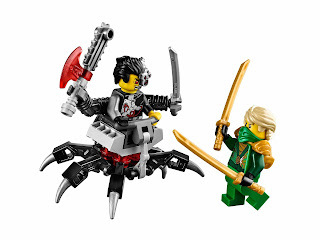 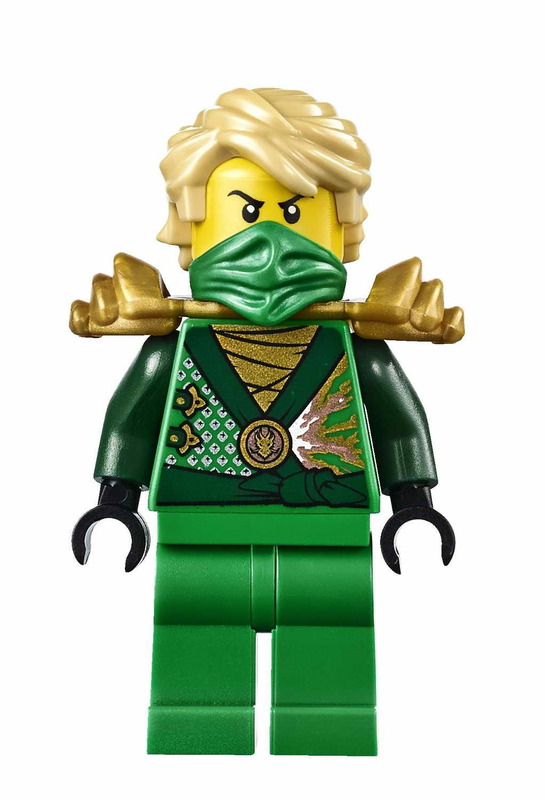 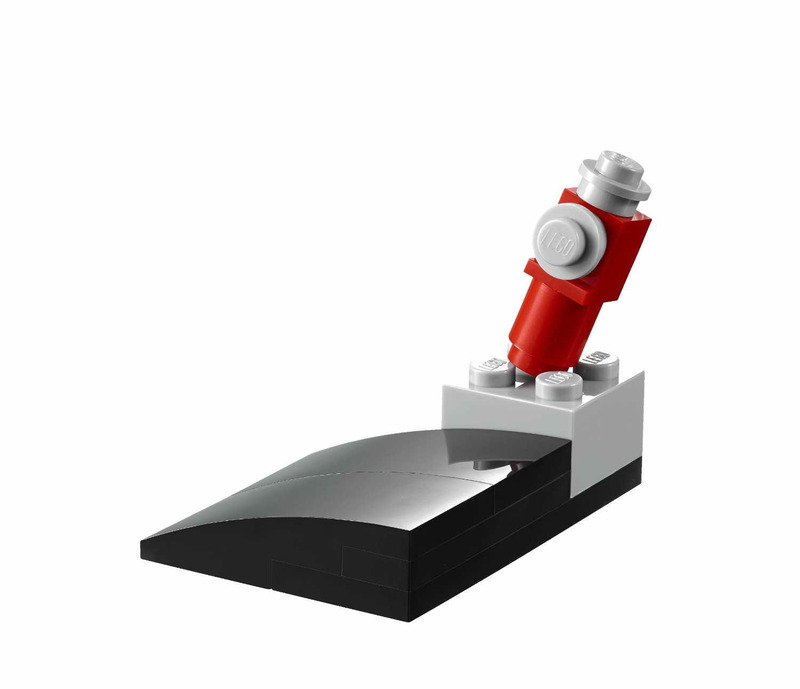 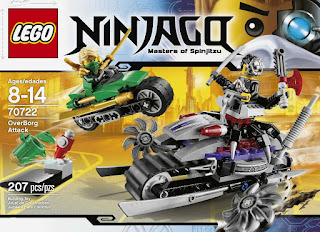 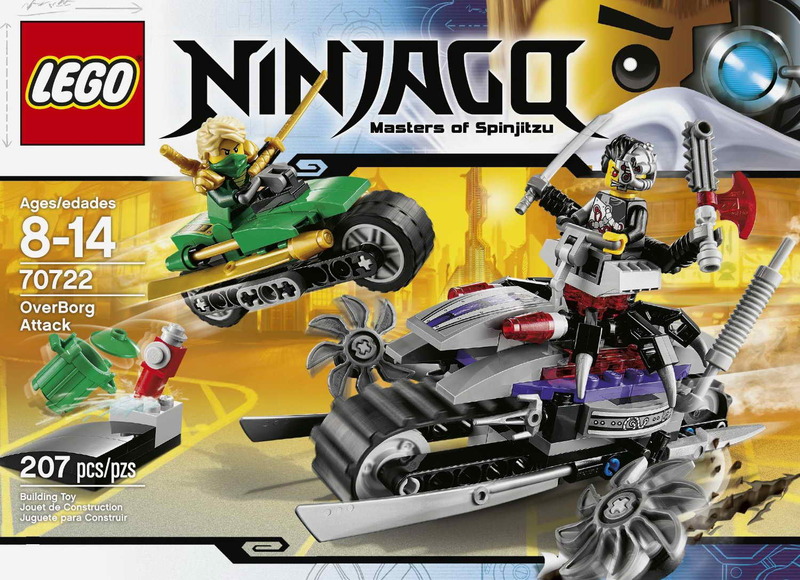 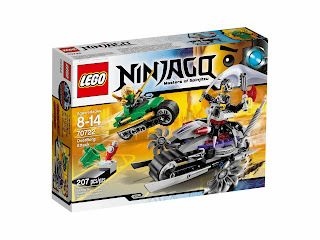 minifigs included a lloyd minifig and an overborg minifig.